Lori Casteel is our Ofice Coordinator. She is the wife of Dr. Casteel but has been in Dentistry longer than he has. Her first Dental Assisting position was in Berea, Kentucky. She is certified in dental radiology and helps in the assisting department if someone is absent. Lori is a graduate of Scarlet Oaks and has several dental certifications. Mother of three and grandma to one, she leads a very active lifestyle. 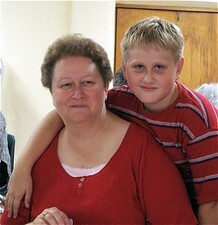 She is very active in her church, The Second Mile and with her children and grandchildren. She is a member of the Springfield Township CERT (Citizen Emergency Response Team) program. Lori is always smiling and loves meeting and talking with our patients. She truly is a "people person." If any questions or problems should ever arise. Please, call Lori so that she can find out the answer or help correct any problem.